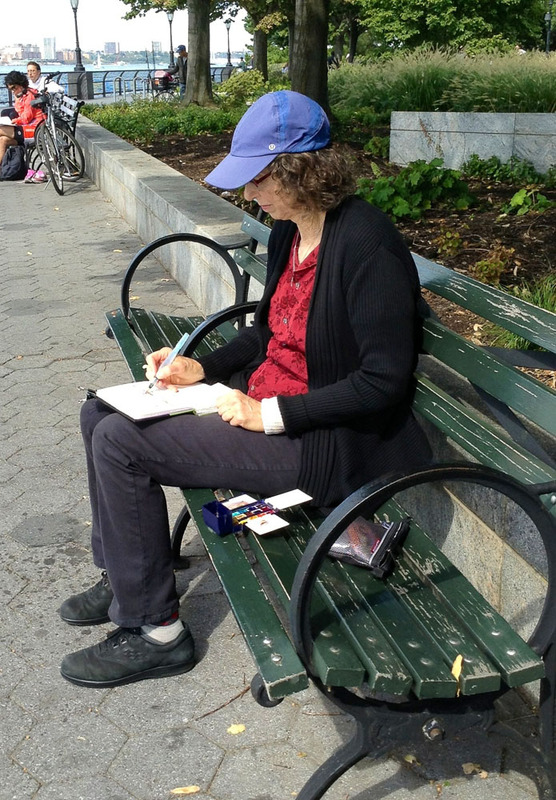 My first morning in Manhattan I woke to sun streaming through the trees and hurried to get ready for a day of sketching in Battery Park with Shirley Levine and Pat Gaignat. 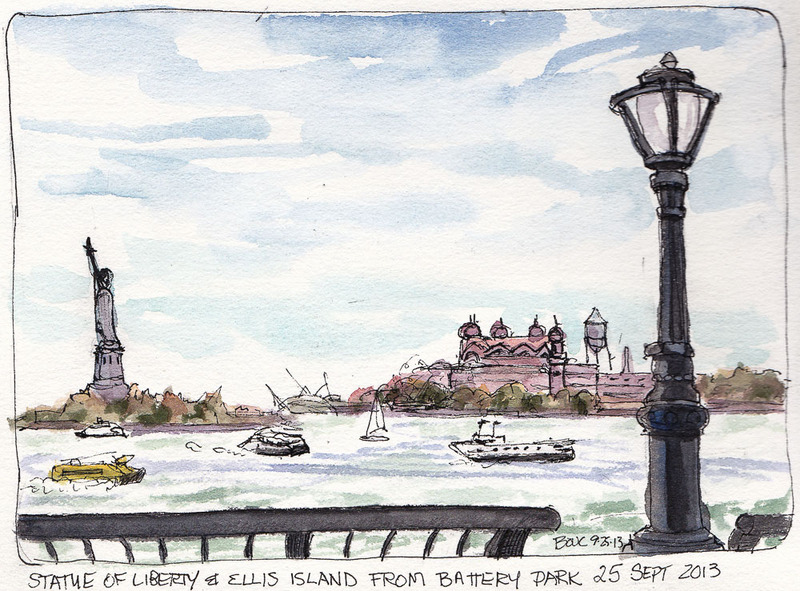 Above is my first sketch of the day: the view from Battery Park of the Statue of Liberty and Ellis Island, where my grandfathers first arrived in the U.S. from Russia. It seemed like a perfect way to mark my arrival too. Pat had created a multi-media iBook titled “Way to Go, Jana!” with directions for finding my way to the park at the other end of Manhattan. I downloaded it to my iPhone and headed out the door. At my first intersection I stepped off the curb at a green light and BAM! a truck hit a motorcycle right in front of me. The bike went down but the rider didn’t seem injured. The drivers began their negotiations and I scurried across the street. 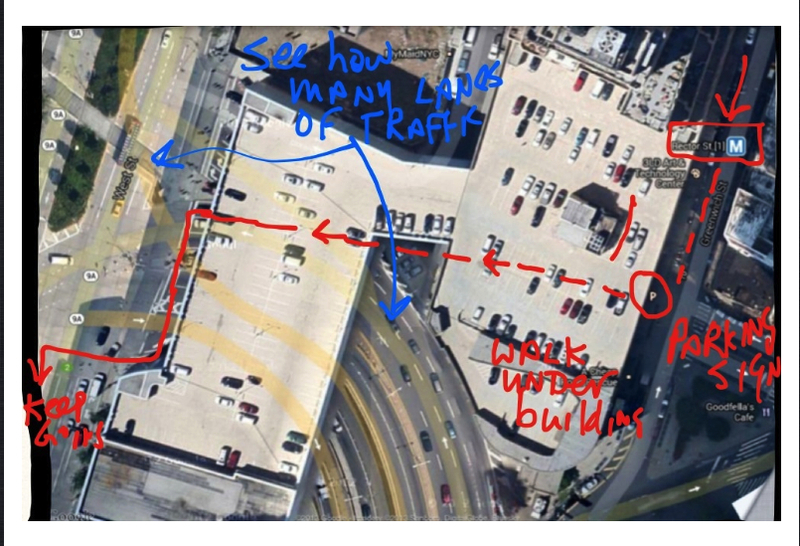 Below are a couple of screenshots from Pat’s e-book that I literally would have been lost without! 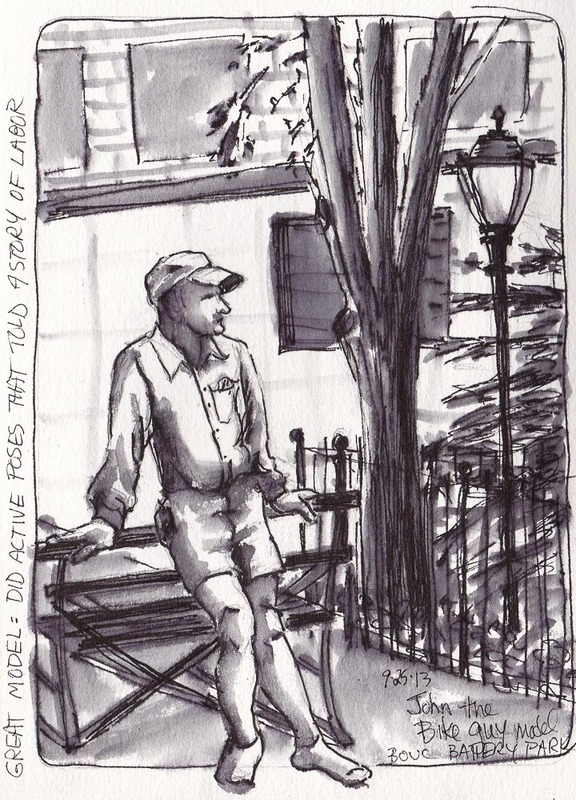 In the afternoon we joined a dozen artists on benches around a small plaza for the start of “Figures al Fresco,” a weekly, free, clothed figure-drawing session sponsored by the city, complete with teacher. She drove up in an electric cart filled with art supplies to use during the session, including drawing boards, paper pads, watercolors, charcoal and pencils. I did most of my figure drawings on a newsprint pad from the cart. The last one (below) I did in my journal with my new Pentel Tradio Stylo water-soluble pen and a water brush. John, the model was excellent, with many interesting poses that simulated working in fields and other kinds of manual labor. The teacher requested he remove his shoes so we could draw his feet. He took off the shoes, but wouldn’t remove his socks. When the session ended at 4:30, in a hurry I returned my drawing pad to the cart, forgetting to remove my sketches. Then I joined Pat to walk the High Line, a public park built on a former elevated railroad line, as part of our journey back uptown. You can see Shirley’s drawings here and Pat’s here. Shirley’s figure drawings show such sensitivity for the human form and Pat’s work is strong and unique. She draws on an iPad using a digital tool meant for drawing and filling shapes, not making lines. It seems extra challenging to me, but gives her line work a really dynamic look. One funny thing about Pat who I only knew through our blogs…I didn’t realize until I saw her gentle face that I had pictured her looking the way she draws people, with thick, edgy, sharp, black outlines! Ohhhh. I didn’t know you forgot your sketches. Shoulda told me. There was a very good chance they were still in the pad – we often find sketches in them. Wonderful post – you pictures are so lovely! 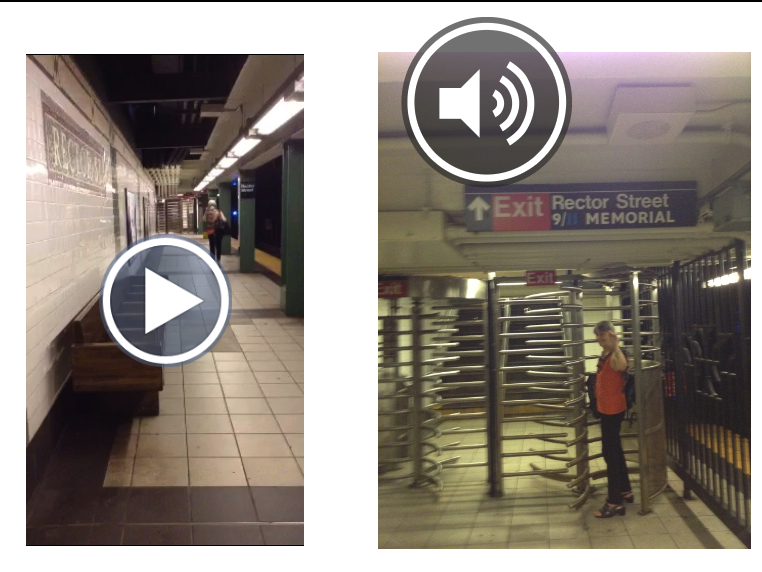 I just love the New York City sketches, Jana. Lived there when I was 19 and I felt like `19 today when I looked at your pictures. Thank you so much fo a walk down memory lane. You covered a lot of ground in a short stay, Jana. The sketches (from Shirley and Pat as well) are wonderful! Great that you were able to join the free art gathering! Feel better! You had beautiful weather that week and I’m glad you had so much fun and so many opportunities to sketch. And Pat ROCKS for making that “way to go, Jana” ebook for you. oh what with the plane troubles, colds & flu, crashes, and lost sketches I’m quite scared to read the next part. Great sketches included on these 2 posts.